Five years ago, the first Bible study night took place within our fellowship. The idea is to have students gather and spend a long time studying the Bible. Since days tend to be very busy and weekly fellowship meetings usually last one to two hours, we thought about nights. Nights of prayer were common, and so we decided that in a similar way we could use nights for studying the Bible. It is encouraging to see how this activity has since been spreading from one city to another. What does a Bible study night look like? Usually 60 to 90 minutes are dedicated for each Bible study. 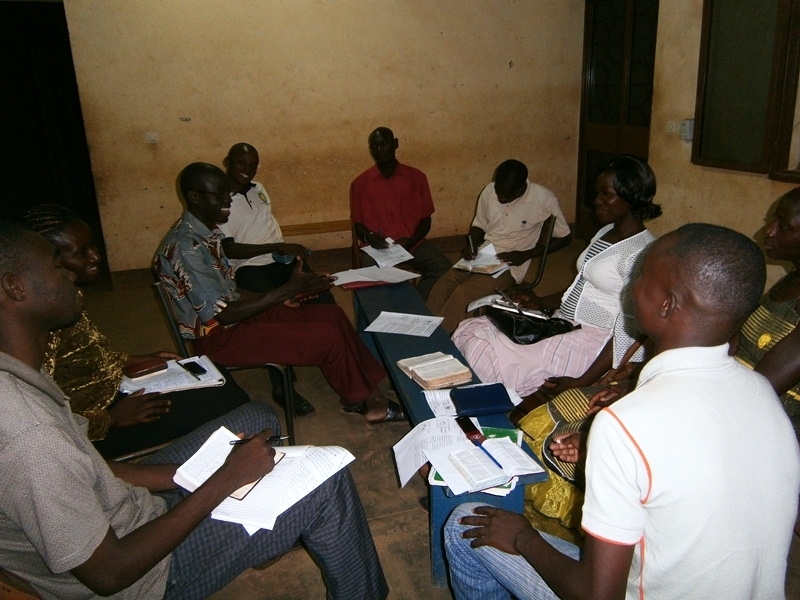 The activities are largely run in small groups using different and creative methods of Bible study. On April 30, 2012, around 200 students met from secondary and tertiary schools in Koudougou. The main theme of the night was “This Book of the Law shall not depart from your mouth” (Joshua 1:8). It was amazing to see so many students spending the whole night around the Bible seeking to improve their relationship with God. The Bible studies were done using different approaches e.g. “head, heart, hands” or “journalist of a Jerusalem newspaper”. Times of worship and breaks were interspersed between the Bible studies. Repeatedly, we hear students say that these Bible study nights have fostered their love and passion for Bible study. Thank God!